For the last few years, we have been witnessing several revolutions in computer technologies. Internet, cloud, connected objects are now parts of our lives. Our daily life has changed a lot. Is it over now ? Well, no ! The next technology revolution will be the robotics revolution. New uses, innovating and evolving processes, machines helping people : That is our very near future. 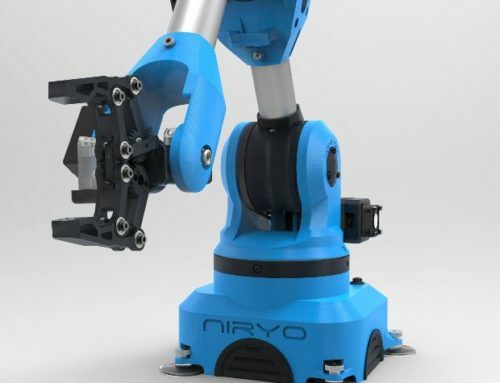 Niryo is a startup working on intelligent robots. 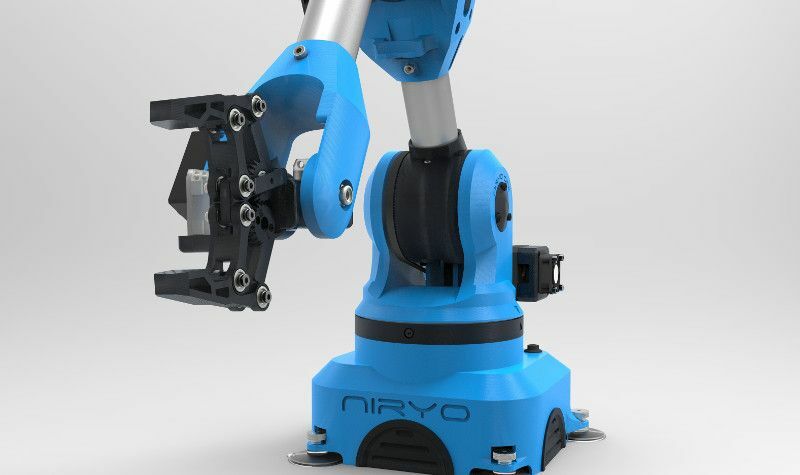 Niryo’s first product is a collaborative and connected robot, more precisely a 6 axis robotic arm. Our most important priority is to build an accessible product, speaking of costs and simplicity of use. 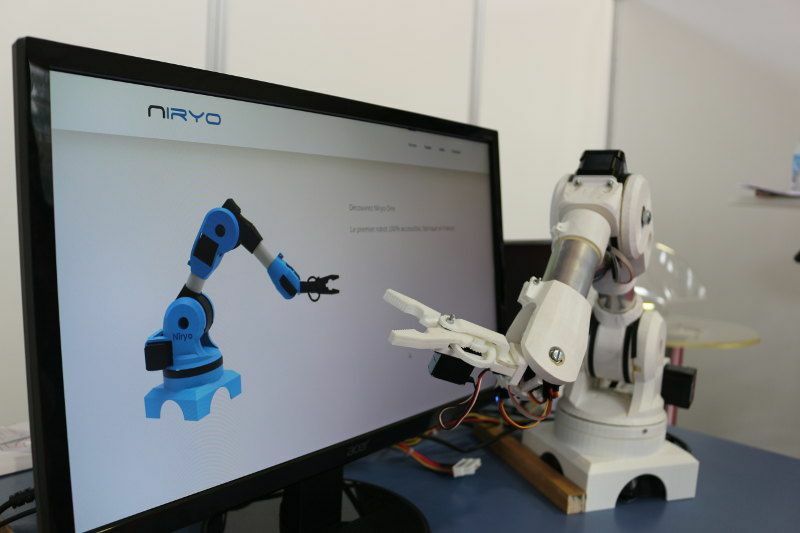 This robot will be able to perform tasks on daily life and in an industry environment, with ease and repeatability. It can work with people as well as other robots. We aim to free users from technology and programming constraints, allowing them to do every use case they can imagine. Robotics has been struggling for a while with very little improvements over the time. Many companies started to study this field, but mostly it ended up in proprietary solution (closed for general public, companies and universities). It is time to open robotics to the world, like computer science did with web and mobile technologies. A revolution is starting to begin with the growing impact of 3D printing. But it is not enough. For us, the democratization of industry use cases must be global, in every application field. Our product meets the need for people wanting to get an accessible and useful robot. When you suddenly have a great idea, you may ask yourself : “How on earth will I do that, technically ?”. It often seems impossible. At Niryo we take this challenge and are removing obstacles between you and your imagination. Allowing you to do complex tasks with simplicity will give you back your creation power. Simplify your daily life, free your creativity, make technology intuitive and accessible, are our main motivations. We are two young engineer with a common aspect : we love new technologies, and things we can do with them ! More details on the team here. We make the best of our complementary skills and our passion, in order to respond to your needs. We will keep this blog up to date, and publish more content about our progress and topics we love. 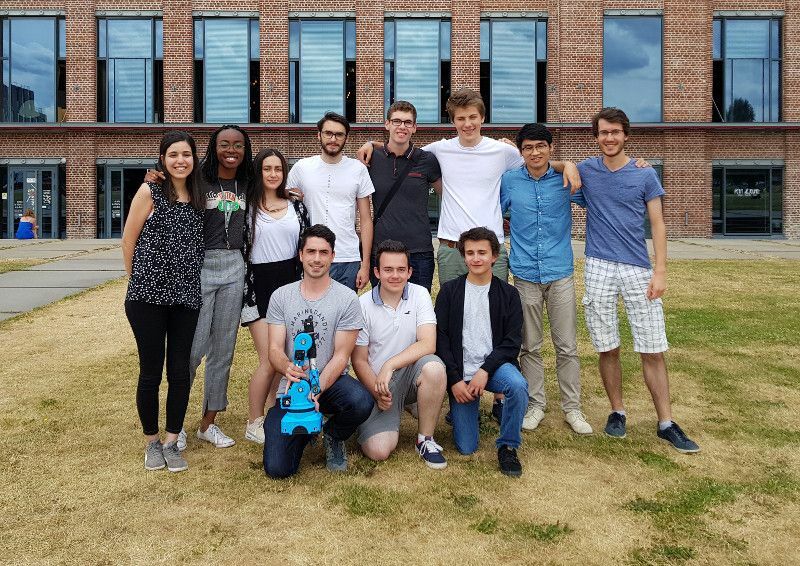 If, like us, you are passionate about robotics and new uses in this field, don’t hesitate to leave us a message ! Let’s walk together towards the next robotics revolution !